Surrounded by acres of orchards and vineyards, artisans Ron and Barb Zimmerman draw inspiration for their work from the shifting kaleidoscope of autumnal beauty that unfolds beyond the doors of their home studio in Niagara-on-the-Lake, Ontario. 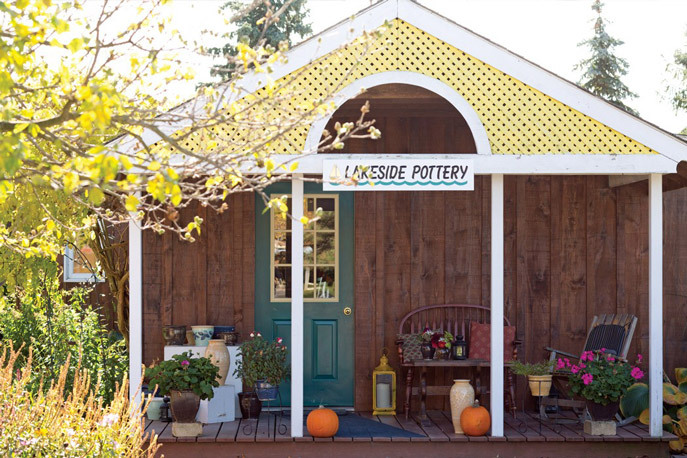 Since opening Lakeside Pottery a quarter-century ago in the Canadian countryside, they have developed a loyal following of customers around the globe. Stoneware vessels shaped and glazed by the couple evoke the hues of their environment—from the deep blues of Lake Ontario to the vibrant shades of green and gold that render the area’s fall foliage such a wonder to behold. With deft use of color, eye-catching silhouettes, and inventive decorative motifs, each collection produced here bears the unmistakable touch of masterful hands. 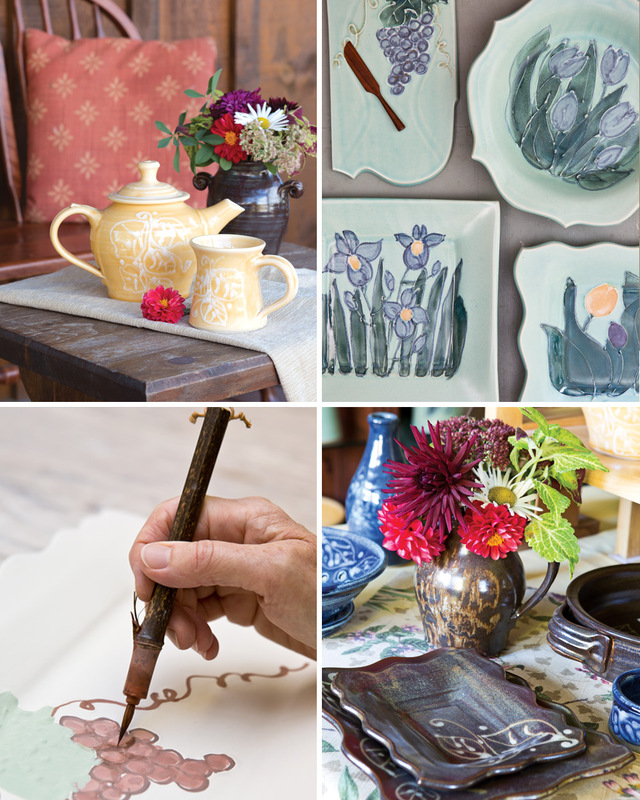 Watch one of the masters from Lakeside Pottery create one of their signature pieces. Find more stories from inspiring entrepreneurs on the Victoria website. What natural settings inspire your creativity? I love the light colored pottery! Love learning what treasures other parts of the world offer! Thanks for your wonderful blog! 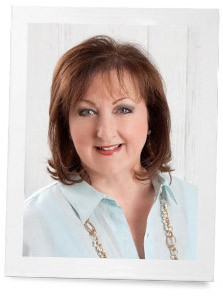 Thank you Phyllis for introducing your readers to our Canadian talent and to our beautiful Niagara on the Lake. My husband and I love to go there for the day. It is especially beautiful in the fall. Trees have always inspired my creative spirit and in Niagara on the Lake there are so many!! I get so excited to see what people can produce with their hands! What a gift… Artistry in any form sparks an interest in me. I grew up in an area where there were many artists, truly gifted people. My two very dear friends from childhood were great artists… They could make something out of nothing. One of my childhood best friend always ready to take on new things…. Right now she is involved with face painting and her work is awesome!! I have a passion for artistry in many different forms, whether it be decorating, writing and cooking! Cannot pinpoint just one thing… This post was wonderful as always Phyllis, keep them coming!! Love your column. Always a treat to sit down and read what you are offering for news. A calorie-free yummy treat! I hope you are OK. We have been seeing and hearing about the deluge the south has been experiencing. They have said it hasn’t rained so heavily in 1,000 years! Wow! Such craftsmanship. Love the colors and designs. Magical! I so admire potters! To be able to create something beautiful from a lump of clay is truly a gift. Thank you for sharing Ron and Barb’s work, it is just lovely! How wonderful and inspiring to be able to have such a lovely nook to create beautiful things. Thank-you for sharing., it makes one think many things are possible, one just has to pursue one’s passion.